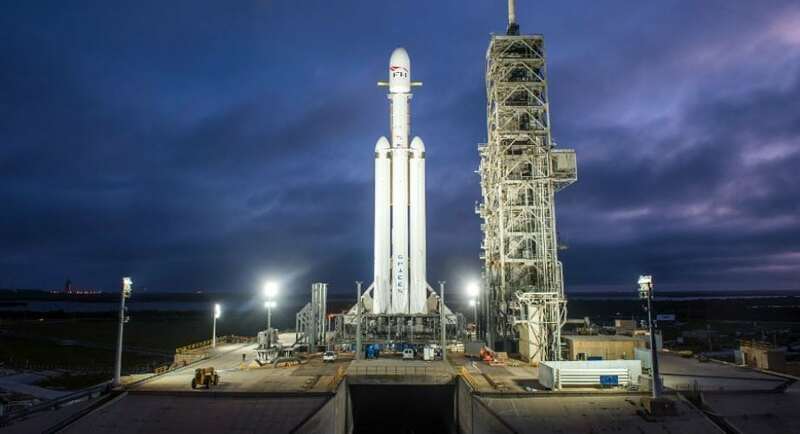 Elon Musk and SpaceX have successfully launched the Falcon Heavy rocket, the world’s most powerful rocket, only rivaled by the Saturn V rocket that brought astronauts to the moon nearly 50 years ago. Musk is also being famed for launching the world’s fourth electric car into space, a Tesla Roadster. Rather than using a dummy test payload, Musk found it fitting (and likely amusing) to shoot one of his own vehicles into space. Now, the vehicle is expected to orbit the sun for hundreds of millions of years. In a time when NASA funding has been decreased more and more, private space companies have proven their validity. And no private space travel company is as famous (or successful) as SpaceX. After seemingly mastering low-cost launches and efficient rocket retrieval, Elon Musk and SpaceX have proven their ability to deliver. Their ultimate goal, as Musk has made abundantly clear, is to send people to Mars. But, for that, they will need a very powerful rocket. That is where the Falcon Heavy rocket comes into the scene. The Falcon Heavy rocket is the most powerful American rocket since the Saturn 5, which was the rocket used for the Apollo moon landings. An essentially turbocharged version of SpaceX’s Falcon 9 rocket, the Falcon Heavy is similar in height and its central booster looks the same. However, the Falcon Heavy has two additional Falcon 9 boosters, which will triple its thrust at liftoff. This means that the Falcon Heavy will be able to lift up to 140,000 pounds to low-Earth orbit. Not only is it significant in power, but this is also the first time a commercial company has developed such a large rocket without any government financing. A successful Falcon Heavy test launch will allow SpaceX to bid on missions for the Air Force to assist in sending spy satellites that are too heavy for the Falcon 9. Some even think that it may replace the Space Launch System, the deep-space rocket that NASA is currently developing. While there were some upper-atmosphere wind issues that pushed the launch to the very end of the window, the event went off mostly without a hitch. Amongst the cheers of the audience, the launch was largely successful as everything went according to plan. And, an impressively successful landing of the rockets will allow for future reuse. In fact, given the success, Musk and SpaceX might be able to prepare another mission within 3-6 months. The broadcast took place live on the SpaceX website, beginning at 3:45 pm EST. This morning, Musk Tweeted the below picture to show the path that the Falcon Heavy rocket took. Watch The Launch Video Below! Next article Human vs. Ping-Pong Robot!